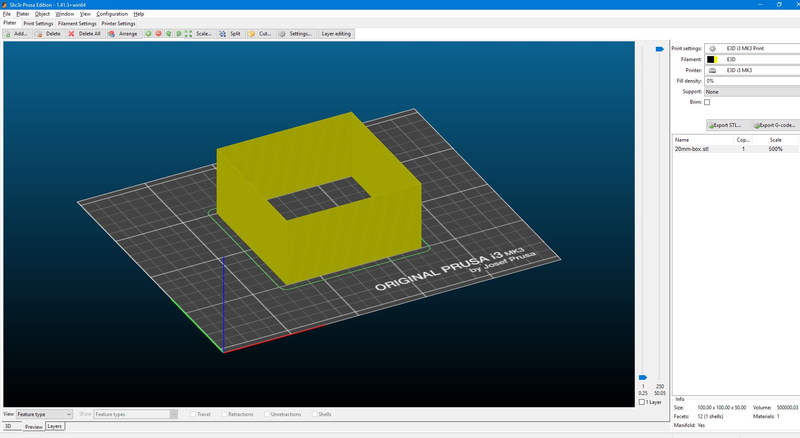 When slicing with this slic3r version I get artefacts and defects in slice preview. The required filament length is also wrong. When printing a cube the back side is sliced wrong. The resulting artefact actually prints as shown in preview. It does what it should. Kudos to that. But it should not slice like that. That means: The thick line at the back is being tried to print that wide, physically, in one single extrusion. When slicing directly in Slic3r PE which I started from within Repetier-host via the Configuration button, everything slices fine. This also happens with other sliced parts. I understand that Slic3r PE is different from Slic3r Non-PE and that Slic3r. How does Repetier-Host get the sliced file? 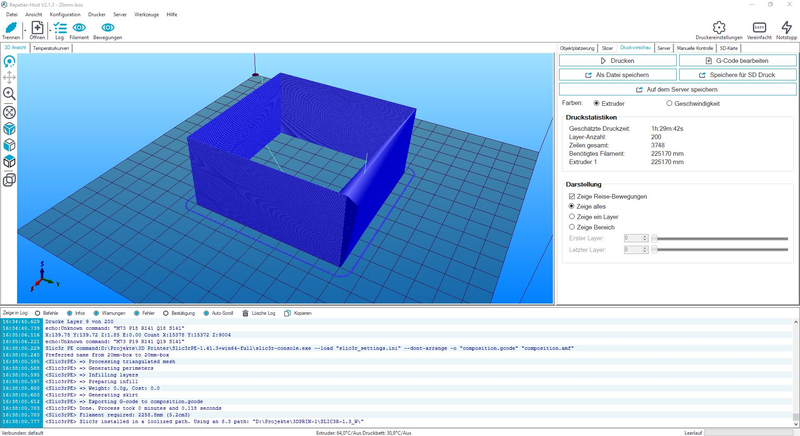 Why is there a difference when slicing within Repetier's slice button and Slic3r's live preview? I can send the gcode. It does not happen with Infill >=1 % . With infill >=1% the required filament is also correct. Again, I am not sure if this is a 100% Repetier issue or a 100% Slic3r issue. Maybe something inbetween. 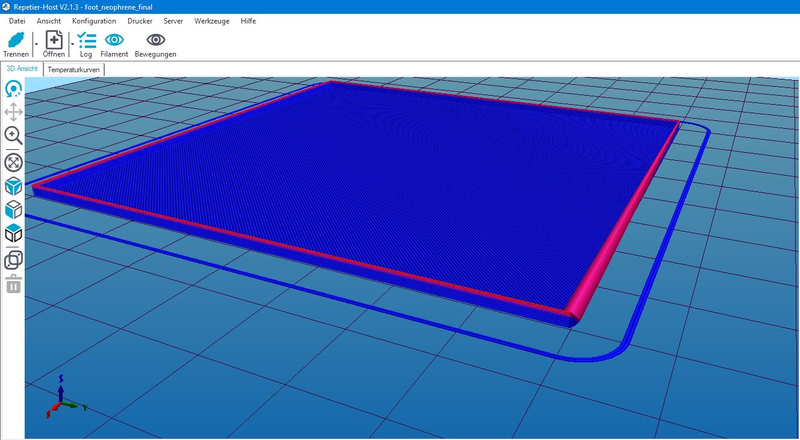 I therefore created an issue at Prusas Slic3r repo at github. In host there are 2 ways for filament visualization. Compute width by volume or fixed width/height ratio. I think you compute it from e values which can lead to wrong proportions through rounding, retraction or other effects a slicer might add to it. Try the other selection and see if it looks better.